There’s been a lot of talk going on regarding the huge addictive potential and hard withdrawal symptoms of Adderall. Countless people end up in rehab trying to get off it, and many doctors and scientists believe Adderall’s long-term effects to be highly damaging and irreversible. It sounds like that because you’ve landed on an article about Adderall alternatives, you’re not all that keen on taking it (or continuing to take it) yourself. While I don’t, of course, know your exact situation, generally, I believe that’s a smart move. There are many other infinitely healthier ways to achieve the same effects as Adderall provides. Adderall is a commonly prescribed stimulant and is part of the amphetamine class of drugs. It’s made out of four salts of the two enantiomers of amphetamine. The official purpose of Adderall is to treat ADHD and narcolepsy. Yet many people, especially college students, use (and abuse) it for other reasons. Those reasons are quite straightforward. Adderall produces mentally and physically stimulating effects, boosts libido, generates euphoria and induces a state of wakefulness. It’s said also to increase muscle strength, making it great for working out if taken in small doses. Now which college student wouldn’t want to experience at least some of those benefits? Adderall works by raising the levels of four essential neurotransmitters: adrenaline, dopamine, serotonin, and norepinephrine. Adrenaline is responsible for the “fight or flight” response. Serotonin regulates the mood. Too little serotonin leads to a depressed mood, while an excess will cause one to become manic. Low doses of Adderall aren’t enough to generate a significant change in serotonin levels. However, high doses of the drug can lead to something called serotonin syndrome. Dopamine is the “feel-good” neurotransmitter that also accounts for motivation levels. People with ADHD have low levels of dopamine, which is why they tend to seek stimulation from drugs like Adderall. Norepinephrine acts as both a neurotransmitter and a stress hormone. As a stress hormone, it controls how the mind reacts to events. As a neurotransmitter, norepinephrine raises reaction times, alertness and arousal. The actions on the four neurotransmitters listed above produce the bulk of the effects that Adderall is famous for. Those effects usually last between 2.5 and 4 hours, after which a crash ensues. When the crash does happen, users typically report feeling lethargic, mentally exhausted and irritable. The side effects of Adderall are quite severe and surprisingly, often overlooked. In the short-term, they include insomnia, irritability, dizziness, dry mouth and blurred vision. In the long-term, you can potentially expect cardiovascular problems (hypertension, tachycardia), the inability to concentrate, panic attacks and even suicidal thoughts. Anyone who has been using Adderall for a long time will start to experience emotional difficulties due to reduced dopamine levels. Addicts may begin seeing more severe mood swings and difficulty feeling pleasure without taking the drug. Worse of all, long-term users of Adderall also have an increased chance of having a stroke or a heart attack during their lifetime, regardless if they’re still using the drug or not. Adderall is also extremely neurotoxic. It heavily damages neurons and creates dopaminergic/serotonergic neurotoxicity that hinders associative thinking. With all this to potentially “look forward” to, why would anyone take Adderall? Why does it continue to be prescribed by doctors as often as it is, especially when better alternatives exist? Many mistake Adderall for a nootropic. Unfortunately, that comparison is inaccurate. Adderall is a stimulant, just like cocaine or caffeine. It can’t ever be considered on a level playing field with popular nootropics like modafinil or Noopept. And Adderall’s potentially dangerous side effects are the main reasons for this. Both Adderall and nootropics are cognitive enhancers. All nootropics are cognitive enhancers because, well… that’s the definition of the term. Not all cognitive enhancers are nootropics, though. The two terms are often misunderstood. 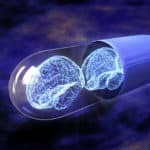 Nootropics (which are also sometimes called smart drugs) come with considerably fewer and less intense side effects than traditional psychoactive drugs. In fact, it’s quite the opposite. Some nootropic compounds like Noopept and piracetam can actually improve brain health. These are just two of the reasons for their ever-increasing popularity. In 2015, nootropics sales went over 1 billion USD, and the global demand continues to go up. It’s true that most nootropics won’t pack quite as strong of a punch as Adderall does. However, the minimal or complete lack of side effects makes it well worth it to trade an “Adderall high” for better long-term health (which, unfortunately, seems quite underrated these days). And, despite being a bit weaker than Adderall, nootropics can still deliver, and then some. 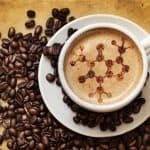 Here is the list of the most popular nootropic supplements which will get you similar effects to those of Adderall. 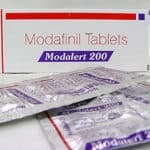 Modafinil is a eugeroic compound (a wakefulness-promoting agent) that was invented in the 1970’s by French scientists and used as a prescription drug starting in the 90’s. Its original intent was to treat narcolepsy. The FDA approved it in 2003 for treatment of shift work sleep disorder and obstructive sleep apnea. Then, the nootropics community discovered it. Today, professionals, students, athletes and pro-gamers alike use modafinil off-label for its effectiveness in stimulating mind and body. Modafinil most noticeably boosts motivation, alertness, and focus. It’s hyped up to be the closest thing to Adderall you can get and, following the 2011 movie “Limitless,” the closest thing to the fictional NZT-48 pill. While modafinil won’t give you “Limitless” strength and help you be fluent in any language within a day, it’s definitely extremely useful in helping you work and stay focused over long periods of time. Modafinil also boosts memory retention and recall. Its potential side-effects are negligible when compared to Adderall, though if you’re currently using any other medication, you should pay attention to them (and definitely talk to a doctor first). Modafinil is a prescription drug, but if you can’t get one, you can easily buy it online from any number of vendors (which is my preferred way to go). Some people compare the effects of modafinil with a stronger cup of coffee. Personally, I’ve yet to drink a cup of joe that comes even remotely close to gluing me to the chair and effortlessly letting me do work for hours on end as well as modafinil does. Adrafinil is a prodrug to modafinil and turns into modafinil once processed by the body. Unlike modafinil, it isn’t a prescription drug and is available from many places either online or offline. Adrafinil was first synthesized in 1974, two years before the discovery of modafinil. For all intents and purposes, adrafinil generates the same effects as modafinil, though you do need a higher dose to achieve the same potency. It also takes a bit more time to take effect and doesn’t last nearly as long. On the downside, adrafinil has the added potential side-effect of developing liver problems with long-term and frequent use. As mentioned above, it’s first metabolized by the liver. This process increases certain toxic enzymes that may result in damage over time. There are a few other small differences between adrafinil and modafinil. But, all in all, the two are very similar compounds, which makes adrafinil a highly viable alternative to Adderall. Phenylpiracetam has been around since the 80’s. It was developed in Russia as a treatment for the prolonged stress faced by their astronauts. It’s currently available there as a prescription drug though hasn’t yet been scheduled by the DEA stateside. Despite that, phenylpiracetam is widely available to buy legally from several online sources. It is one, if not the most potent compound from the racetam family of nootropics and one of the strongest smart drugs available today. 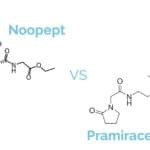 Compared to the original nootropic supplement piracetam, phenylpiracetam is around 50 times more potent. Thanks to the added phenyl group attached to the piracetam structure, this compound is much closer in resemblance to phenethylamines like Adderall. That makes the overall stimulating effects much more noticeable. Phenylpiracetam also boosts memory to a much higher degree than piracetam, as well as suppresses anxiety and reduces the effects of sleep deprivation. Considering that adrafinil and modafinil are basically the same substance, I consider phenylpiracetam to be the second closest nootropic to Adderall on this list. Because, thus far, I have only mentioned synthetic Adderall substitutes, it’s only fitting to include something natural as well. Many of us do prefer to avoid pharmaceuticals whenever possible. Panax Ginseng is one of the oldest and most researched nootropic herbs on the planet. It has been a traditional Chinese medicine and a natural source of cognitive boost for millennia. The benefits of Panax Ginseng include reduced mental fatigue, increased reaction time and sped up mental processes. It also boosts the immune system and can help fight various illnesses. Panax Ginseng contains ginsenosides, which account for the psychoactive stimulating, cognitive-enhancing and wakefulness-promoting effects. A bit of caution is in order though. Overconsumption may lead to gastrointestinal problems such as vomiting, cramps or nausea. Noopept is yet another extremely potent nootropic supplement worth considering in place of Adderall. First manufactured in Russia in 1996, it’s promoted as a cognitive enhancer. While it bears a close resemblance to piracetam, it’s hundreds of times more potent and can produce effects from as little as 10 mg. Beneficial for learning and memory, Noopept facilitates neuronal management of stimuli and encourages connections between neurons. The first thing you’ll notice when using Noopept is how much easier it is to digest information and process it for use in daily activities. Users also often report a slight physical stimulation. However, what truly sets Noopept apart from other nootropics (not to mention Adderall) are its neuroprotective properties. It supports the production of NGF (Nerve Growth Factor) and BDNF (Brain-Derived Neurotrophic Factor), two proteins which play an essential role in neurogenesis, short-term and long-term memory formation. Stacking is a widespread practice among nootropics users. Certain compounds tend to complement each other very well, and that’s something stacking takes full advantage of. Think synergy. One of the best things about stacking is that you get more fine-tuned control over the mental state which you want to achieve. Everyone experiences nootropics (and substances in general) in their own unique way. Sometimes, taking more of the same compound won’t bring you any benefits. But combining something else with it may boost different neurotransmitters and get you the exact effect you seek. There are several pre-fabricated stacks which can give you an excellent nootropic experience that is very similar to Adderall. And there are also some DIY ones which you can throw together yourself. Alpha Brain is a very popular pre-made nootropic stack made up of several, well-balanced ingredients (including alpha GPC, Bacopa Monnieri, Cat’s claw extract, Huperzia Serrata, L-tyrosine, L-theanine, oat extract, phosphatidylserine, pterostilbene and vitamin B6). Vinpocetine, alpha GPC, and Huperzia Serrata specifically act synergistically to improve cholinergic function. Though this takes places regardless if you’re deficient in choline or not, for those of us that are, using Alpha Brain will be much more noticeable. The effects you can expect include improved memory recall and retention, as well as enhanced mood and motivation levels very similar to what Adderall produces. With Alpha Brain, you also get a greater sense of calm and clear focus. Personally, I would much rather be in this zen-like state than to deal with the jitteriness of Adderall. Did I mention Alpha Brain can improve sleep quality too? Optimind is a non-prescription 100% natural dietary supplement. It was once known as “Alleradd,” before the company manufacturing it rebranded the product. Optimind’s list of ingredients includes alpha lipoic acid, Bacopa Monnieri, caffeine, GABA, Huperzine Serrata, L-tyrosine, phosphatidylserine, sulbutiamine, taurine, vinpocetine, vitamin B-12 and vitamin D-3. Have you noticed how similar “Alleradd” is to Adderall? That’s not a coincidence. The effects are quite comparable. Optimind is much more stimulating than Alpha Brain and is definitely one of the closest nootropic stacks to Adderall. The amount of stimulation and increased focus that it provides can be way up there. Just a word of warning. Be careful not to consume any more caffeine when taking Optimind (it already includes a good amount of it). A very likely effect will be overstimulation, which can result in a crash after the effects have worn off. For those of us wanting to take stacking into our own hands, this four nootropic combination offers all the benefits of Adderall minus the unpleasant side effects and tolerance build-up. The doses can be altered depending on your preference (that is one of the beautiful things with building your own stacks). Test each ingredient first and try out different dosage percentages to find those that work best for you. Always start with very low amounts first and work your way up as needed. Phenylpiracetam and adrafinil are reasonably similar in effect and account for increased stimulation, alertness, and motivation. Noopept is an excellent addition to the stack due to its strong boost to memory retention and recall. Phenibut is the only nootropic not mentioned on the list of alternatives as a stand-alone. By itself, it can’t be considered a replacement for Adderall, simply because it can’t generate the required levels of stimulation. It does, however, significantly increase focus and uplifts the mood, making it a perfect addition to this DIY Adderral mimicking stack. There is and always will be some level of debate on which Adderall alternative works best. Unfortunately, there is no one-size-fits-all nootropic which will do it for everyone. The important thing is you’re now aware of the many available choices. With a bit of trial and error (and a chat with your doctor to make sure you’re staying safe), you can and will find a substitute for Adderall which is sustainable in the long run and much less detrimental to your health.